Gorgeously beaded Venise lace and spaghetti straps delicately encrusted with stones make this bodysuit instantly breath taking. 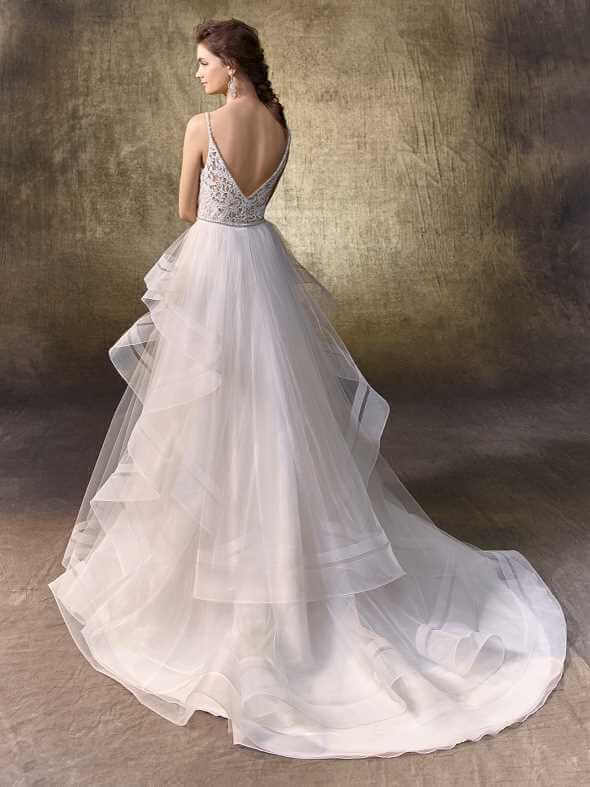 The beaded bodice showcases shimmering stones along the V-neckline, complementing the alluring V-back with crystal buttons over an invisible zipper closure. 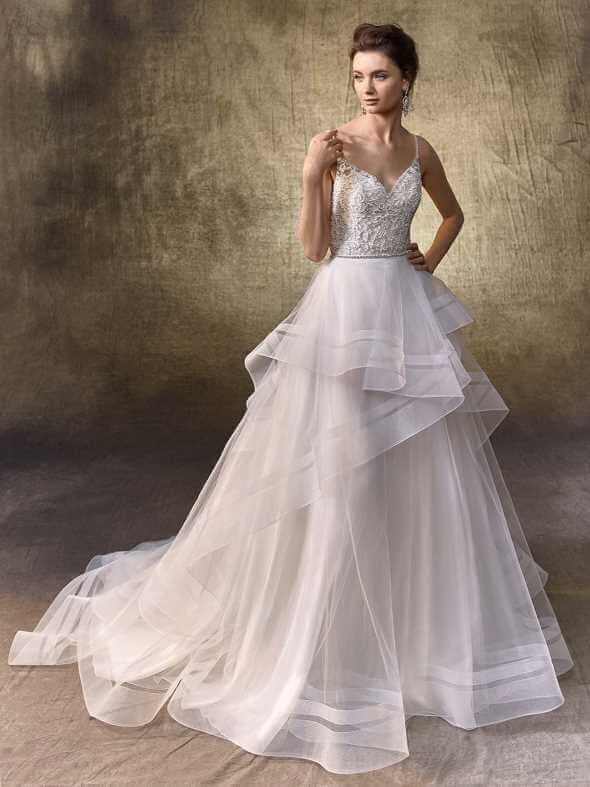 Wear with a detachable skirt for an elegant and versatile bridal look.